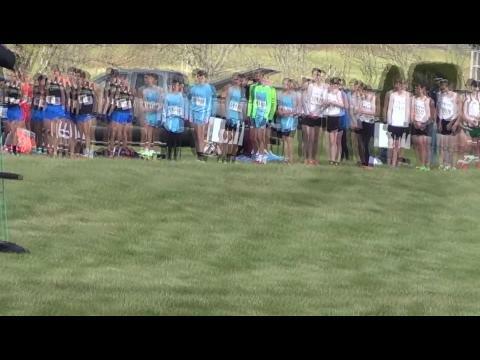 Race footage of the State Meet Record won by Andrew Hunter of Loudoun Valley. Be sure to check out our full length videos to for double the coverage! 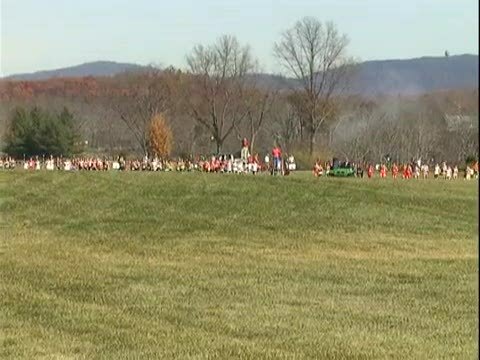 Video tour of the VHSL State Championship course at Great Meadow. 1 mile to 2 mile mark. Stafford sophomore Hannah Lowery (pictured above by John Herzog) has had a very busy fall. 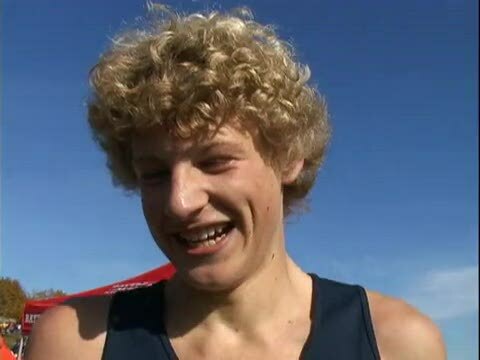 Between winning numerous cross country invitational races as well as winning district, regional, and state titles to go along with helping the Stafford field hockey team advance all the way to state semi-finals, the Governor's School student Lowery has had a full plate for the past few months. She has at least moved field hockey off her plate for the time being and now only has one more race left to cap off one of the most impressive and successful cross country seasons in recent history by a Virginia high school female distance runner. Lowery won a total of five major invitationals this season, while taking only second twice to Cosby's Megan Moye at the competitive Oatlands Invite and MileStat.com Invite. Herself and fellow sophomore Sophie Chase of Lake Braddock have had two thrilling finishes with one another in their only two encounters this fall with Lowery getting the narrow win in both photo finishes determined by their chip timed feet. Since the two sophomores should make for a great rivalry over the next two years competing for state titles with only one able to be the champion, it would be fitting if both were to qualify for Foot Locker Nationals as two of the state's top hopefuls at the South regional next Saturday in Charlotte. However, the Stafford boys are expected to race on the same day at the Nike Cross Southeast Regional in Cary, North Carolina, so Lowery is still torn on which national qualifier meet to run in next week. While she has been a magician in being able to compete in cross country meets and field hockey games sometimes on the same day, she will unfortunately have to decide which race she will compete in next Saturday between Foot Locker South and Nike Cross Southeast. Either way, a West Coast-bound ticket earned to either Portland, Oregon for Nike Cross Nationals or San Diego, California for Foot Locker Nationals would be a well-deserved and well-earned trip for the 2010 Group AAA state cross country girls' champion Lowery. 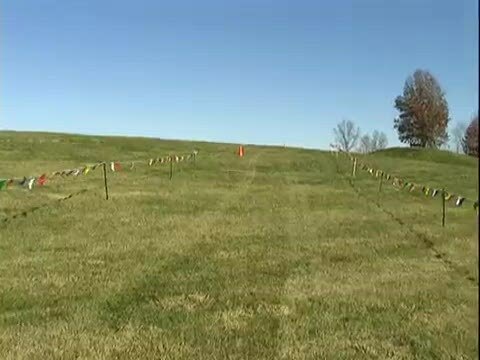 Video tour of the VHSL State Championship course at Great Meadow. Start from 1 mile mark. 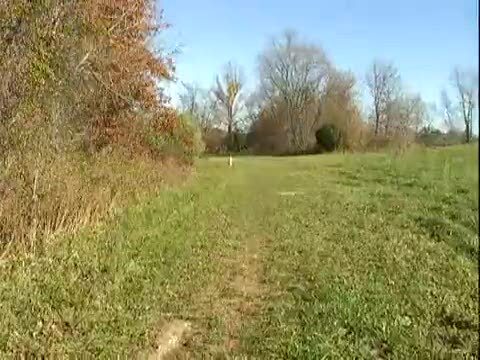 Video tour of the VHSL State Championship course at Great Meadow. 2 mile mark to 5K finish. Two years ago at the state cross country meet, Hidden Valley senior Annie LeHardy (pictured above by Frank Locascio) got the short end of the stick in a photo finish between herself and Brookville's Janel Reeves for the Group AA state title. As a senior in her last high school state cross country meet this past Saturday at Great Meadow, LeHardy made sure she would not be stuck in the same position again as she broke away from top ranked Mattie Webb of Western Albemarle and teammate Haley Cutright before the two mile mark. A state champion as a freshmen in track at 1600 meters, LeHardy continued to build her lead en route to matching the course record time of 17:34 set one year ago by Kathleen Stevens of Blacksburg with her second individual state title overall and first in cross country. Her performance also led Hidden Valley to a second straight Group AA state title, which builds momentum for the squad into the Nike Cross Southeast Regional as a returning NXN at-large qualifier from 2009. LeHardy and teammate Cutright certainly have excellent chances at qualifying individually for the national meet in Oregon if there team is unable to qualify. 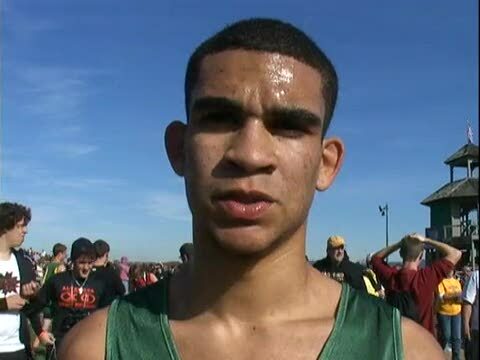 MileStat.com interviewed LeHardy, who has a solid and consistent four year high school career under coach Daniel King at Hidden Valley. Midlothian boys averaged well under 16 minutes and won by a huge margin for the AAA team title. 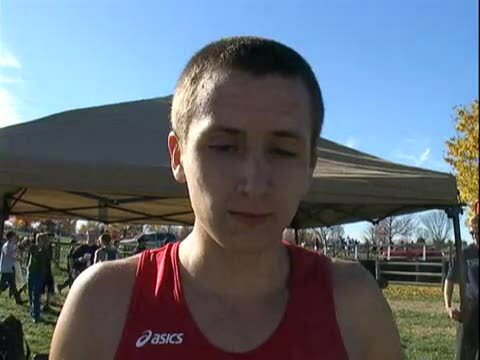 Albemarle junior Ben Deal finished 12th in the AAA race. Deep Run senior Erica Dobbs finished 7th in the Group AAA state race. Powhatan sophomore Rachel Byrd becomes her school's first All-State finisher in many years and possibly school history. MileStat.com's final team rankings (top 16 deep) for Group AAA, Group AA, and Group A as well as Cream of the Crop (All-Class) before this Saturday's VHSL State Championships at Great Meadow. Princess Anne senior Lizzie Cornell was the top finisher from the Eastern Region with an 8th place finish in the AAA race. 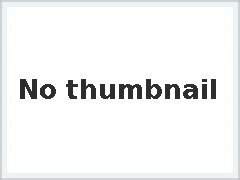 For the first time ever, the VHSL is offering online ticket sales for the VHSL Cross Country Championships on November 13, 2010. Admission tickets are $8, or $9 with a donation to the VHSL Foundation. 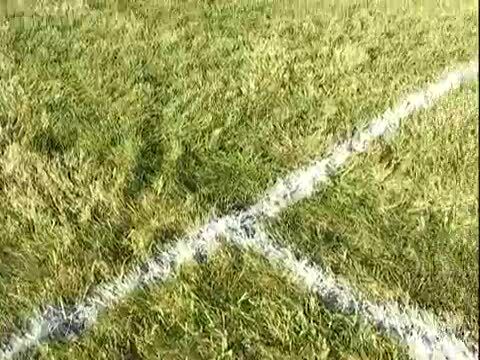 Please share this link with your cross country athletes and parents. Avoid the lines on Saturday morning and click http://vhsl.ticketleap.com/vhsl-cross-country-championships to order you tickets on-line. 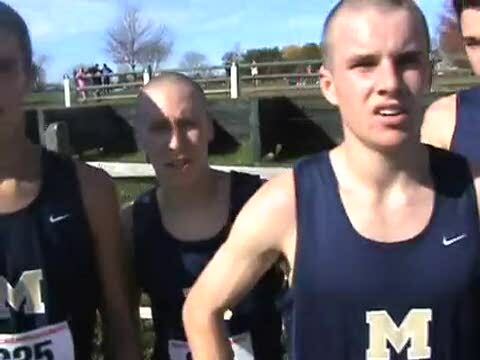 "The Historian" provides a small look back at state cross country country meets of the past and the different locations which the meet was held. 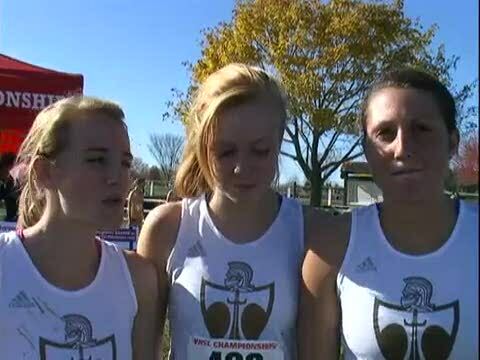 Great Meadow is the fourth location for the state cross country meet. Great Meadows has hosted the meet since 1994. Virginia Tech hosted the meet in 1993, and before that the meet was held at Piedmont Community College in Charlottesville (form the early 70’s). The 60’s saw the meet hosted by William and Mary on a 2.4 mile course. MileStat.com is also currently trying to find as many old state meet results (before the internet and MileStat.com) as possible. We have collected complete results from all years in the 1990s at Great Meadow, the 1993 state meet at Virginia Tech, and brief results (top 10-15 individuals) from a few years in 1980s at Piedmont (84,86,88,89,90). If any long-time coaches or retired coaches have kept hard copies of these past results (especially complete results), we'd appreciate if you could fax (804-325-1077) to us. We'll be attempting to type up and post online as many state meet results that we collect during the month of November. Northumberland senior Mischa Turner finished 2nd in a close call finish for the Group A state title with a PR time of 16:22. Grafton senior Kyle King repeated as Group AA state champion with the fastest time of the day in a 15:21 PR. 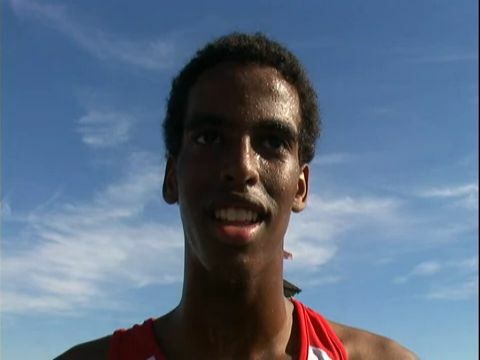 Annandale junior Ahmed Bile unleashed a great kick in the final stretch to win his first Group AAA state title in 15:27. Photo by Mike Somers Awareness helped Jon Ulrich win the Group A state cross country title. He was aware before the meet by his Lebanon coaches that it was the first chip timed foot to cross the line and not the torso as is the case with most meets not timed by chips which would determine his and his teammates' place order as they figured to be in a close fight with several schools for a podium spot at Great Meadow. Not sure if Ulrich knew this knowledge would eventually gain him the state individual title as well. The Lebanon sophomore Ulrich now has the opportunity to join potentially four others in boys' state meet history to win three state cross country titles after winning a photo finish over Northumberland senior Mischa Turner which based off the photo did not appear in his favor. A member also of the highest finishing Region D squad at the state meet since 1988 with Lebanon's runner-up finish to Altavista, Ulrich started the season off strong with a win at the Run Fer Da Hills Invitational but an early season stress fracture hindered him to run behind teammate Bradley Rasnake in most races and workouts during the season before coming out on top at season's end. 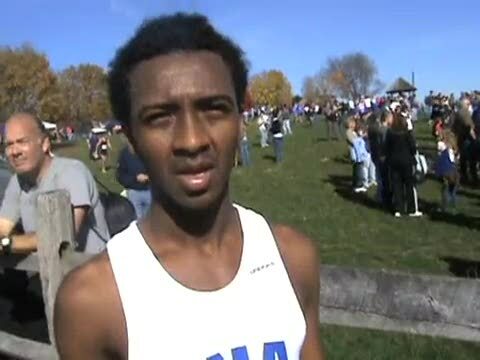 MileStat.com interviewed the sophomore state champion from Lebanon days after his dramatic state meet victory which he had to wait 20 minutes to officially find out that he was in fact the champion. MileStat.com's final individual rankings (top 25 deep) for Group AAA, Group AA, and Group A as well as Cream of the Crop (All-Class) before this Saturday's VHSL State Championships at Great Meadow. Stafford sophomore Hannah Lowery won her first state title with a PR time of 17:41 in the AAA race. George Mason girls won a 3rd straight Group A team title led by a runner-up finish from Julia Estrada. Anthony Noegel led Blacksburg to the Group AA state title with a ninth place finish. Hidden Valley girls put 3 in the top 10 for a 2nd straight Group AA state title including Annie LeHardy tying the course record in 17:34. 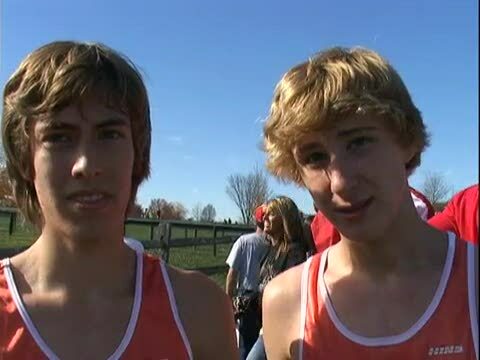 Daniel Blanks (4th) and Sean Farney (5th) helped lead the Altavista boys to their first Group A state team title. 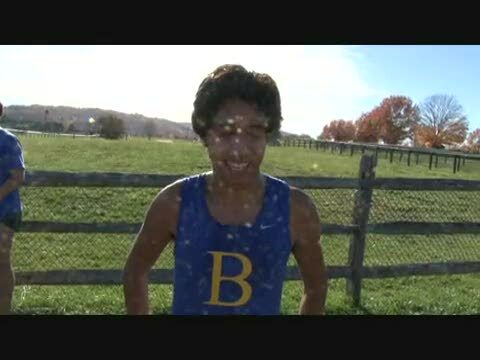 Robert E. Lee senior Abraham Yacob finished 6th in the AAA race with a time of 15:47. Albemarle girls finished 6th in the Group AAA state race. Midlothian boys won the AAA state title in dominan fashion. 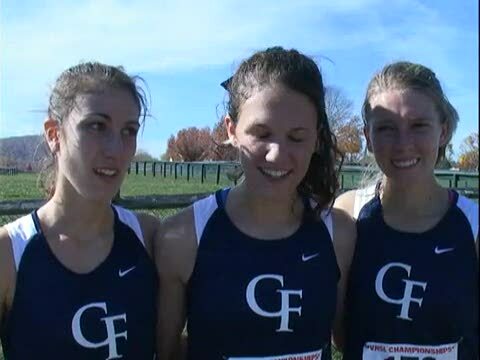 Colonial Forge girls ran an exceptional pack race to snag the third place and final podium spot in the Group AAA race. Anna Spiers and her 5th place finished helped lead the Maggie Walker girls to a runner-up finish in the AAA race. 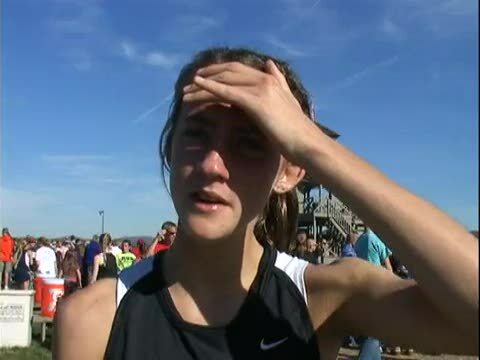 Strasburg junior Katlyn Ayers repeated as Group A state individual champion with a time of 19:08. 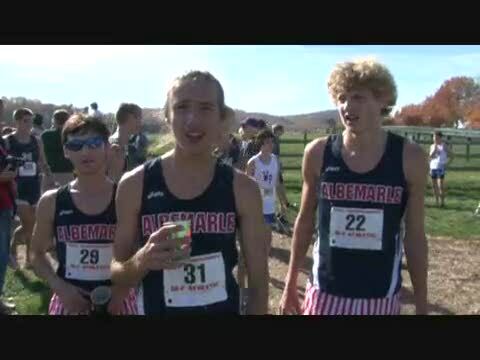 Albemarle boys fnished 3rd in the Group AAA state race. Lebanon junior Tabitha Arwood finished 3rd in the Group A girls race. Cosby junior Megan Moye finished 3rd in the AAA race with a time of 18:03.